THEISPOT.COM: Illustration News: Thomas Pitilli: Late to Class? Off to Court! 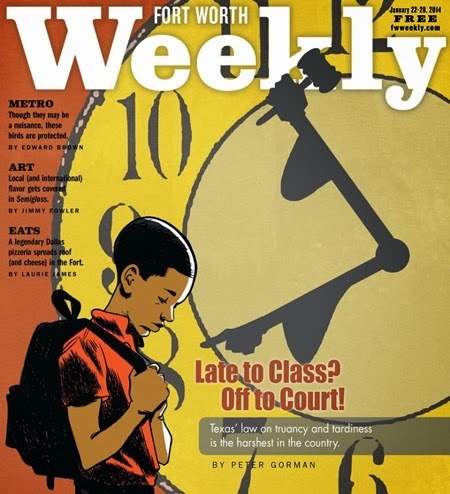 Thomas Pitilli’s cover for Fort Worth Weekly accompanies a feature on the harsh truancy laws in Texas.